50% of all proceeds will go directly to GameChanger Charity to support them in their mission to change the lives of hospitalized kids. The Tumbling Sloth Premium Avatar will be available for a limited time for $5.99. 50% of all proceeds will go directly to GameChanger Charity. Hungry Sloth Premium Card Back! Just imagine the cards you’ll draw with this little guy smiling up at you! 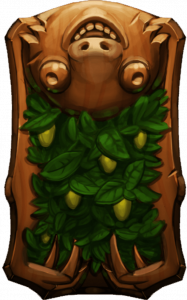 The Hungry Sloth Premium Card Back will be available for a limited time for $5.99. 50% of all proceeds will go directly to GameChanger Charity. 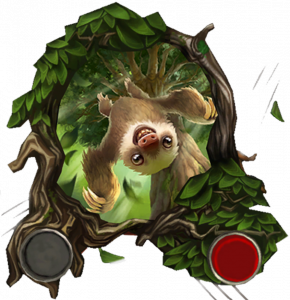 All right-thinking players understand that they need these sloths (slothes?) 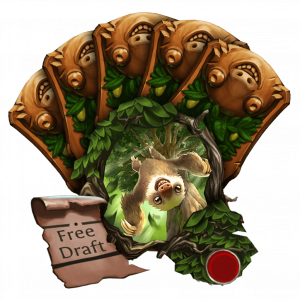 in their lives, so the Adorable Sloth Bundle gets you both the card back and the avatar at a reduced price! And as a special thank you, purchasing directly from the DWD Store will also net you a free Draft Ticket! 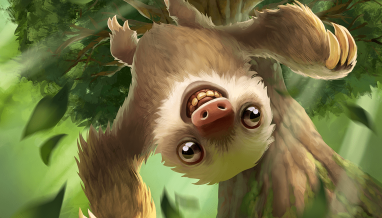 The Adorable Sloth will be available for a limited time for $10.99. 50% of all proceeds will go directly to GameChanger Charity. It’s an awesome sloth, and an even better cause. Please join us in supporting our friends at GameChanger Charity when your new favorite card back and avatar tumble your way! The promotion will run from January 15th to 25th, so be sure to grab yours while it’s hanging around!